The true beauty of a custom home is its unique design. An experienced builder knows how to incorporate your ideas, wants, and needs into a home that will be beautiful, functional, and within your budget. That’s what you will get with a Brian Riker Home. Excellent communication. When it comes to one of the biggest financial and emotional undertakings of your life, you need solid communication from your builder. When you need to speak with Brian, he responds as quickly as possible. From the very start, he makes sure you understand and are comfortable with every step in the process. Quality craftsmanship and materials. Brian takes extra steps to ensure your home is the finest. Using the best materials in combination with best practices, he builds homes that get rave reviews from homeowners. And he demands the same quality work and materials from his subcontractors. Fair value. You will find that pricing for materials and features is fair and comparable. Brian Riker does not cut corners when it comes to quality. Exceptional design. If you have a vision for your dream home but need a professional to turn your dreams into reality, Brian Riker has the years of experience as a custom home builder and a passion for building beautiful homes. Is your home in a great location on a great lot, but just isn’t looking so great anymore? Your existing home can look like new with a custom renovation. 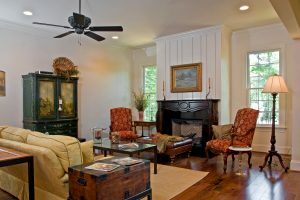 Brian Riker renovation projects can be as small as one room or as big as a whole home remodel. Kitchens, bathrooms, basements, sunrooms, and more can be renovated to add value to your home. Exterior remodeling as well can bump up your home’s curb appeal. Has your family outgrown your home? Consider adding onto or finishing areas of your home to gain space. If you have plenty of land to build on, additions can be fairly simple. If lot space is limited, unfinished parts of homes such as basements or attics can be remodeled to provide additional space for bedrooms or living areas. 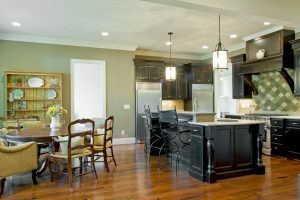 Brian Riker, a custom home builder in Greensboro with many years of experience, can design custom renovations to make the most of the existing space in your home, providing your family with new and stylish rooms to enjoy. 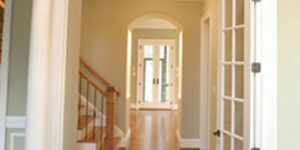 Call (336) 669-7642 to get started on your custom home or renovation today.